Recently Rolling Stone magazine published a story that urges the millennial generation to demand communism in America by eliminating private property, “guaranteeing” everyone a job and turning banks into state property. After finding some opposition on Twitter, the writer let loose some ideas that didn’t make the cut of his article: “exterminate” the rich and take away their money and property. 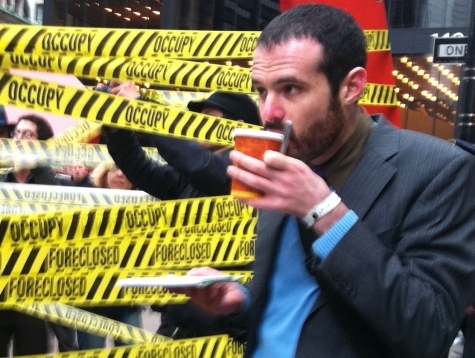 After reading the article published on January 3, one thing we learn from former Occupy Wall Street organizer Jesse A. Myerson is that he thinks things are bad in America today. America is so bad–or, as he so eruditely puts it, America “blows”–that he thinks it is time to institute some of the worst communist tropes in the anti-capitalist’s bag of tricks, all the same boring ideas that have been proven disastrous everywhere they’ve been tried for over 100 years. Myerson’s article, entitled “Five Economic Reforms Millennials Should Be Fighting For,” is a prime example of anti-Americanism. Every single idea in the thing runs counter to the American way of life. He calls for free jobs for everyone (paid for by government), the end of private property (so government can own it), and an end to the financial sector (so that government can run it). Myerson unloads several points all of which he gives a seal of approval saying, “sounds nice, doesn’t it?” He does this several times as if he’s trying as hard to convince himself as he is the reader. One wonders what he thinks is “rich” since millions of Americans that make the average income own property. Are they the evil rich, too? Or is Myerson so urbanized that he can’t imagine there being anything other than “landlords” that might own his apartment building? In any case, his piece really can be encapsulated in his two most oft repeated phrases: “America blows” and his ideas “sound nice.” Other than that, not much historical reference, economic thought, or, well, reality enters into his piece. But one wonders how much his article was edited when one views the battles Myerson had on Twitter over his utopianist Rolling Stone piece for it seems he let his real ideas out on that social media platform. When some Twitter commenters began to figure out his gulag approach to economic reform, he released a Tweet to deny that he necessarily wants to kill the rich. “I don’t want the 1% *dead* just *dispossessed*. Tell you what, each family can keep one mansion and one luxury car, but the rest is forfeit.,” Myerson tweeted. Then Myerson tried to label himself to be better understood telling one Tweeter that he considers himself to be a “democratic communist”–two words that cancel each other out, of course. But Myerson continued to be attacked by many taunts accusing him of being an authoritarian. He counters this by claiming that all economic systems are based on the force of governments and their guns. In fact, Myerson claims that one cannot even have private property unless government kills anyone that tries to take someone’s property. It is clear he doesn’t understand the Second Amendment nor the natural rights that the founders used to base our system upon for they thought we had the right to protect our own property and that we don’t need government in all cases to do so. It certainly became clear on his Twitter feed that Myerson was getting a bit sick and tired of being called a supporter of past murderous communist regimes. Sadly, Jesse A. Myerson seems obsessed about killing people with whom he disagrees, taking their property and re-distributing it to some shadowy mass of people whom he doesn’t seem to identify exactly, but comes away bristling when people point out that he is a supporter of violent authoritarianism. This is what Rolling Stone calls deep political discussion.